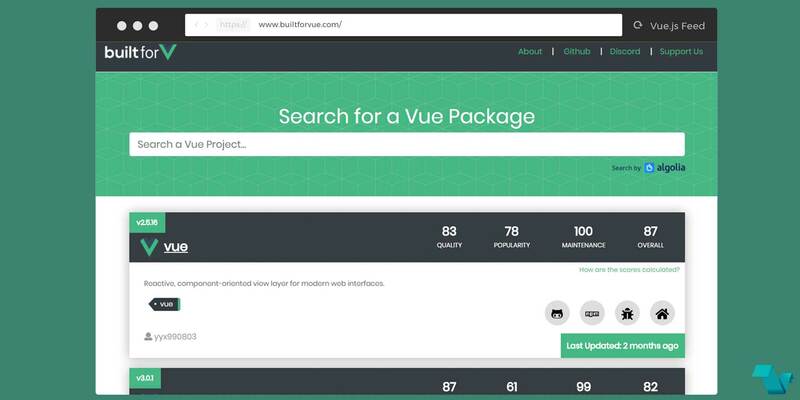 Built For Vue is an open source project that serves as a mirror for projects and packages available on NPM. It combines information from npm and jsdelivr to provide useful stats to help choose the right package for your project. Apart from giving you the ability to find the proper package, it also provides statistics like last updates, forks, ranking, basic install instructions and RunKit node playground so you can try running some code online. 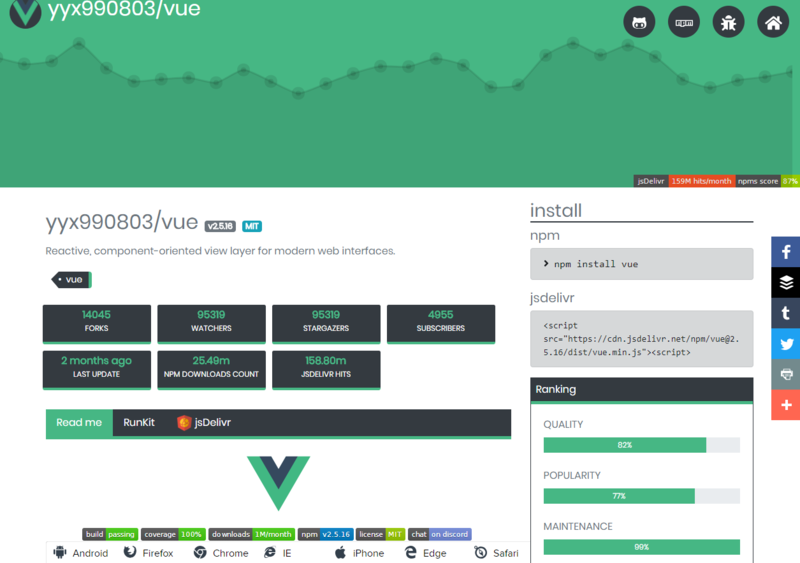 All the info and statistics about Vue.js. 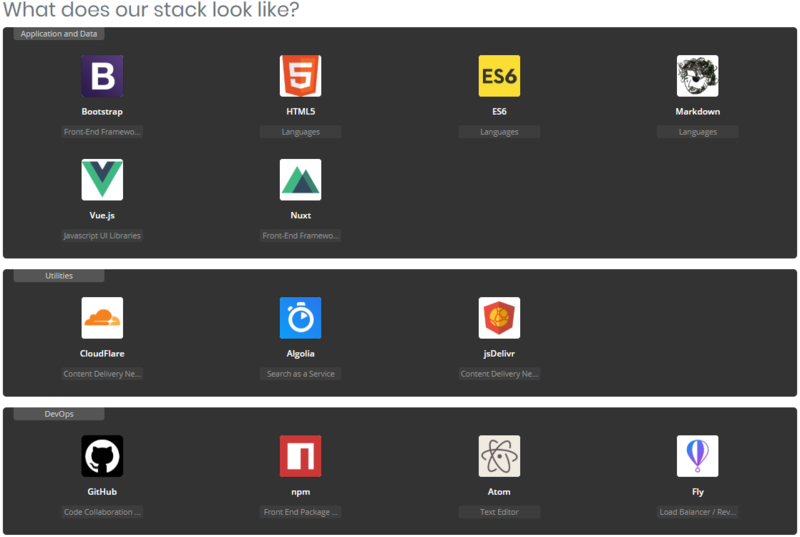 Builtforvue, uses the statistics provided by npms analytics that continuously analyzes the npm ecosystem, gathering as much information as possible from a variety of sources. Using the collected information, a final score for each package is calculated based on four different aspects.